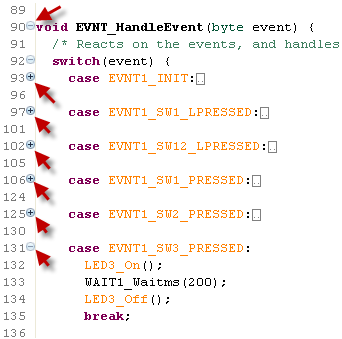 Yes, this shows about 140 lines of code in a condensed way . It gives me the high level picture. I can dive into the details on demand. 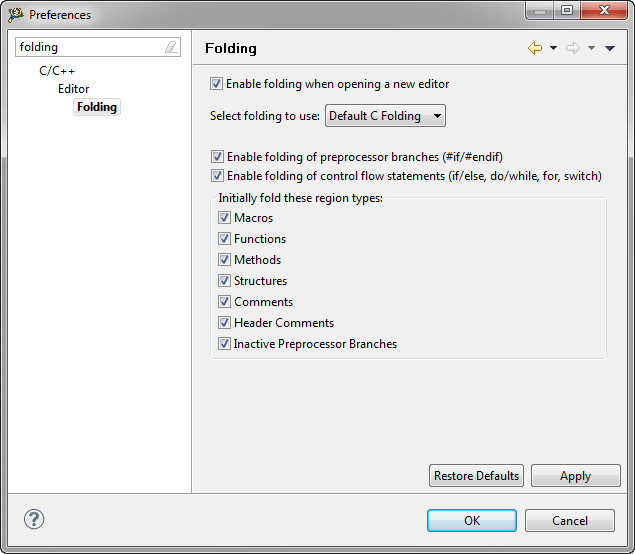 What I’m using here is the Eclipse feature of Folding. Note the small + and - signs on the left side of the view: this is used to fold/unfold regions in the editor. Note: In case Numpad_Divide is not easily accessible on my keyboard layout, the key bindings can be changed under the menu Window > Preferences > General > Keys. Folding makes it easy for me to navigate through big chunks of source files and to focus on the parts which are important. It saves me a lot of scrolling or navigating around.